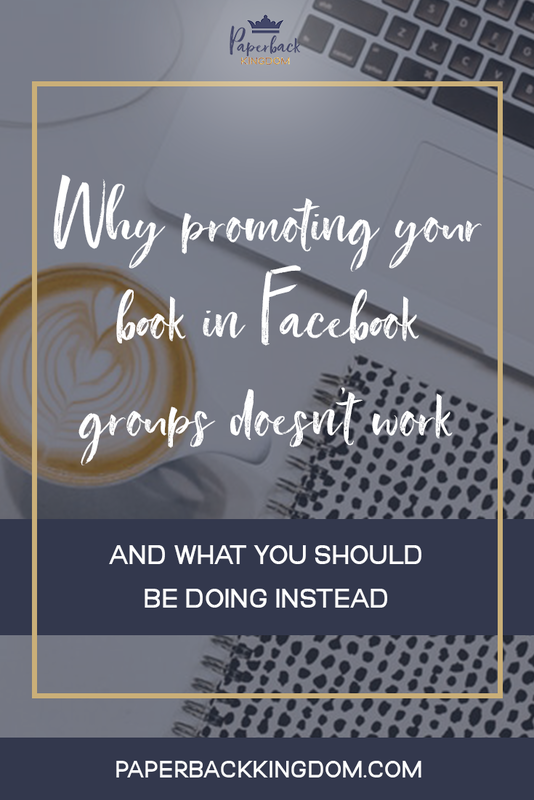 This month I have been calling out every author trying to promote their book in a Facebook group. The concept of sharing books in a group is wonderful, and I think book groups are a great way to make industry connections, but it’s definitely not the way to sell books. There’s no algorithm— Crayton tried posting at different times, in groups of different sizes, but there was no consistent trend, making it impossible to predict the right way to be utilizing such a strategy. Those groups are full of authors trying to promote their own work— while the majority of writers are also readers, they don’t go into those groups to buy books. They go in there to sell books, which means there are no target readers, or even a demographic of readers to begin with, in those groups. It creates content overwhelm— when someone is scrolling through their newsfeed and they’re seeing 50+ books on a daily basis, there’s a good chance that none of those books are going to stick in their mind. Your posts are getting swallowed by everyone else’s, and everyone’s posts are drowning. Well, How Else Can I Be Promoting My Books? There are plenty of other things you can do, but the biggest thing you want to be doing is building a mailing list. This allows you to provide readers with discounts, teasers, giveaways and announcement info. If you secure an engaged reader, you have a promising buyer for every future book you release, so nurturing that relationship with your readers and building a list is the golden way to sell books. So, How Do I Convert Readers to My Mailing List? 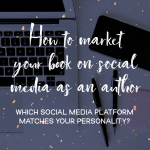 By building a strong, social media following and a positive author reputation, you’ll start to attract engaged readers to your platforms. Think of these platforms as the bait in your overall strategy— the key is to convert these followers into mailing list leads and build a relationship with them. These relationships will lead to sales. However, sales thrive off of trust with your readers, and trust is a product of positive publicity and reader engagement. So without trust, you cannot maintain engaged readers on your list. Publicity plays a big role in this part of the strategy. If someone sees a book once, they think nothing of it. If they see it two or three times, they might start to wonder about it. By making sure people keep seeing it and hearing about it, you’re eventually peak reader’s curiosity and open the door to attract an engaged reader. Leave room for curiosity— just tease the cover and summarize the book in a single line. Let them lead the sale by clicking to learn more. Get other people to talk about the book. If a reader hears from two or three reputable media outlets, or book bloggers, that a book they’ve heard of is good, that makes them more likely to investigate the book for themselves. Drop your book links and run— your book cover and blurb won’t sell itself until you’ve done a bit of groundwork for it. Get people to talk about it. Fail to secure a lead— if you have a reader on your blog, or considering a sale, the last thing you want to do is let them go without securing a way to contact them again. You need to be inviting readers to join your mailing list, which gives you a direct line of communication with the reader. You can do this via social media, your blog, and even in the book itself (at the very back, in the bio section). Make it clear that they’ll get exclusive content by signing up for your mailing list— whether that be discounts, giveaways, or a book teaser before anyone else sees it. GOLDEN IDEA: Once you hit 100 subscribers, create an exclusive author fan group on Facebook for mailing lists subscribers. Who can resist the chance to talk about your book with other readers and the author themselves?